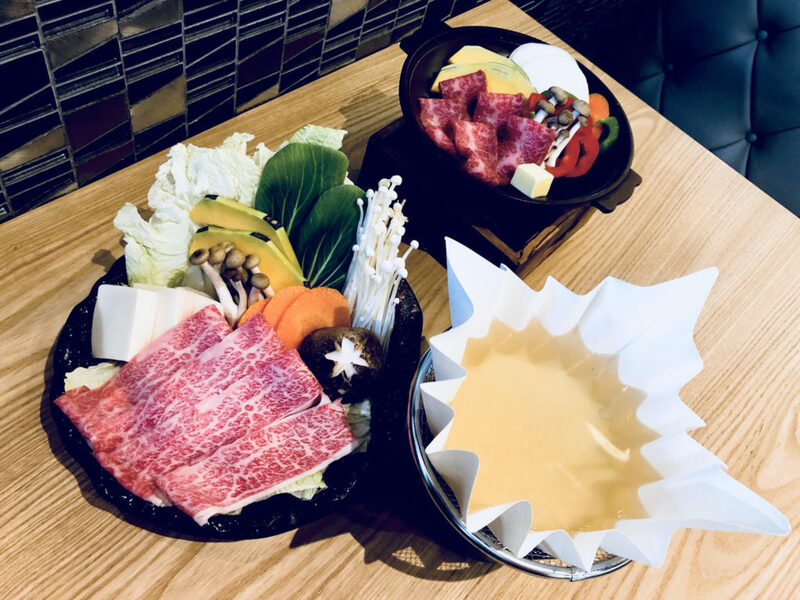 Don’t say bojio, this A5 Wagyu beef buffet will leave you with no regrets in life. 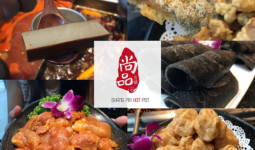 You may not want to try any other Shabu Shabu buffet in Sg liao, no joke! 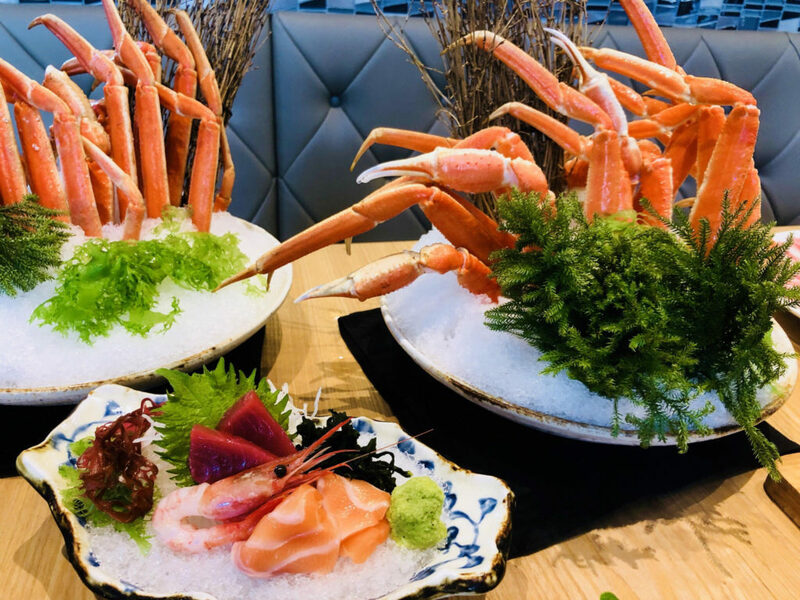 With fresh ingredients imported directly from Japan as well as Okinawa, En Sakaba’s 90 mins buffet includes free flow Wagyu Beef, premium Zuwai Kani Queen Crab, and Iberico Kurobuta Pork. 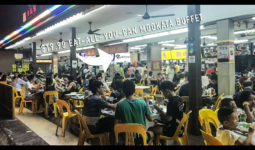 This buffet also has sequence one, must start with appetisers, sashimi platter, and end with special Japanese porridge, and Haagen Daz ice cream. Lightly battered golden prawns and vegetable Tempura included. 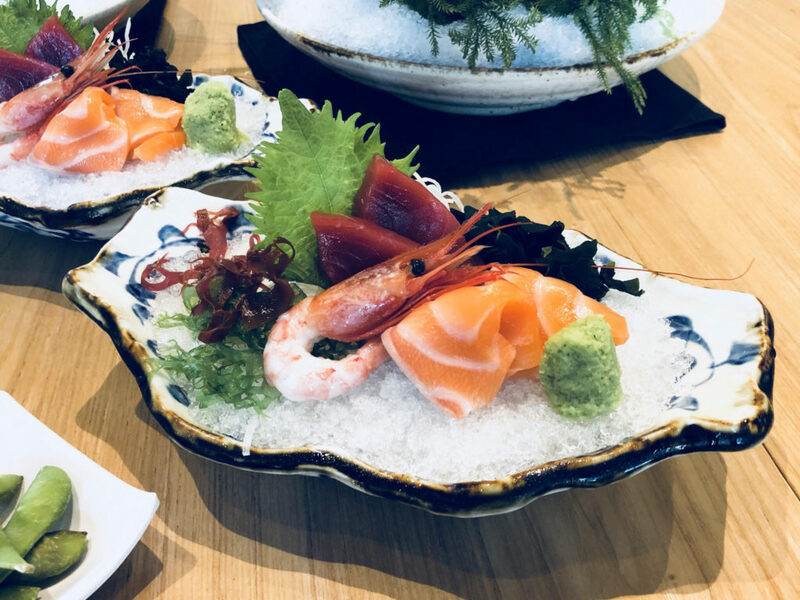 You can tell their sashimi is fresh and good quality, but it will only make you more Hangry before you start on the giant platter of Miyazaki Wagyu!! Just look at that! Your marble floor at home confirm lose to this A5 grade marbling. Don’t need to say anything can already imagine it melting in your mouth. 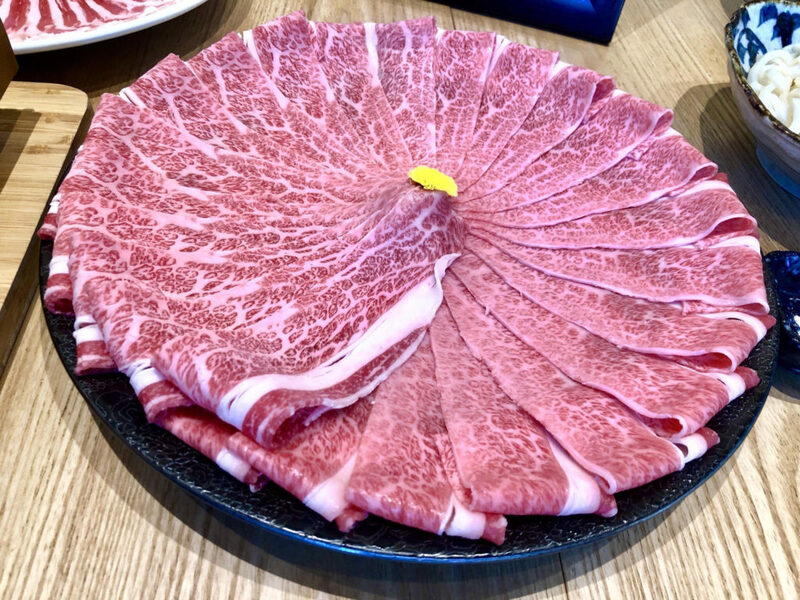 This Miyazaki Wagyu apparently beat the beef from Kobe and Matsuzaka to win the “Prime Minister Award” in 2007, and also won the “National Wagyu Award” by the Wagyu Association in Japan, given to the best cattle once every five years. 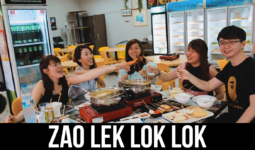 No need loh soh, next time you feel like you could eat a cow just come here whack only. It is literally as good as it looks. So tender, it’s not like those kind you need to chew out the flavour one. 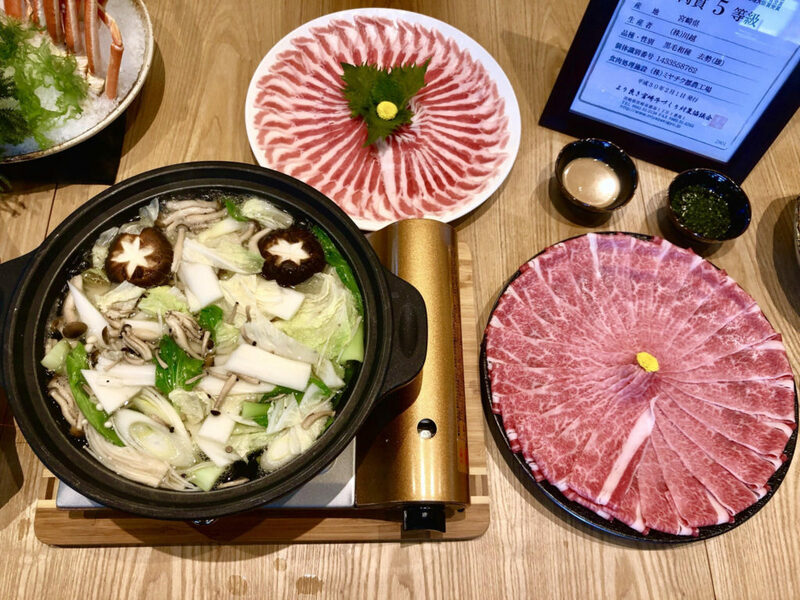 The savoury umami bonito broth of the hot pot will be all ready to welcome the meat – just dip softly in and out, and ta-dah! Magic! Disappeared! Where did it go? It’s ok, just dip and repeat. 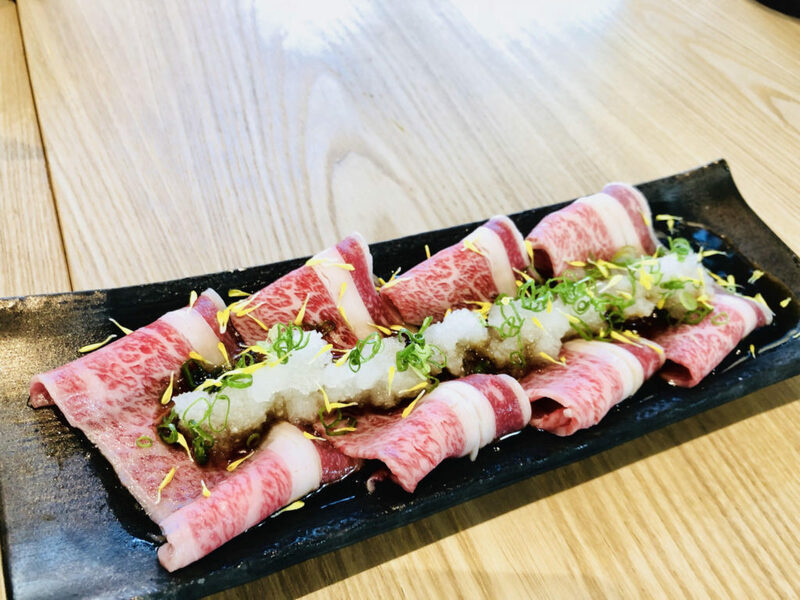 You can do the same with the Iberico Kurobuta Pork slices, you will know what is quality when you try this pork because if you close your eyes, cannot tell that it is pork. Got no pork smell at all!! Just enjoy that lovely fatty flavour and springy texture. Ponzu and Shoyu sauces are provided just in case you’d like to bring out the flavour of the meat differently. Moving on to this Queen Crab, snip away at the crab shell so that you can pull out the juicy crab meat in one go. The meat is firm and succulent, just the way you’d like. Don’t forget to soak the legs with the shell still on in the hot pot for a minute before you have a go at the warm meat. 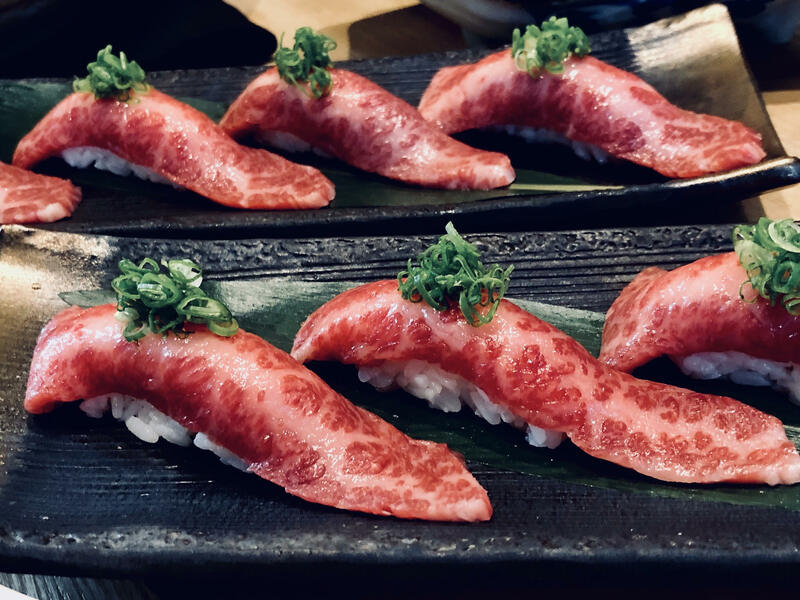 Anyways back to the red meat – the Wagyu sushi is really wrapped until like sushi master style, if you never watch Sushi Jiro movie, it’s ok. Can have similar live tasting here, wagyu-style. 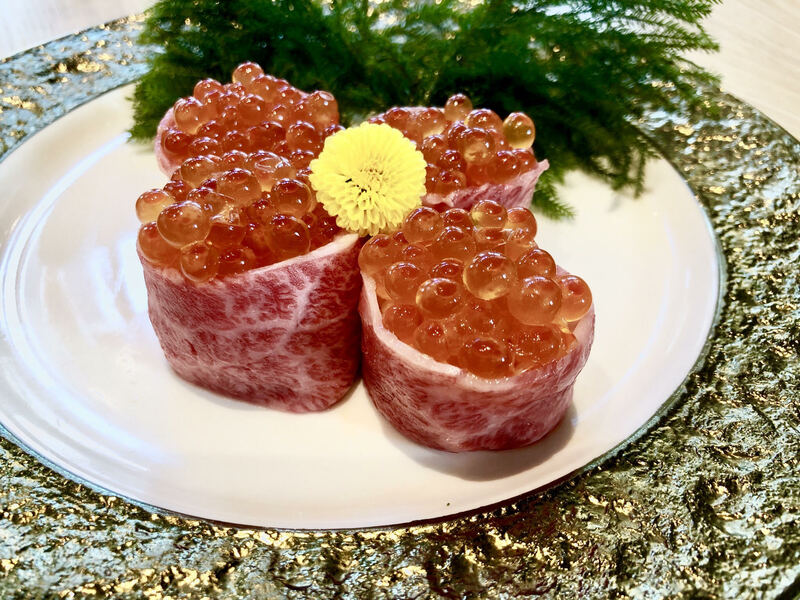 Also, apparently Salmon Ikura sushi not shiok enough, can come up with Wagyu Ikura sushi?! Melt-in-your-mouth combined with pop-in-your-mouth is quite the food-gasm. Some Wagyu carpaccio soaked in light vinegar-ish sauce, stuff the entire piece in your mouth for a guaranteed burst of flavour. 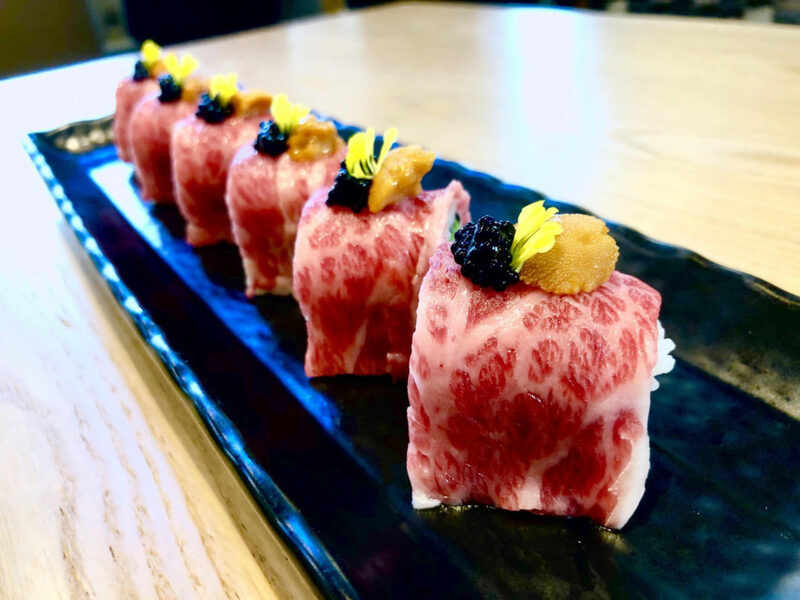 If salmon roe isn’t enough for you, can devour this Wagyu sushi roll topped with Uni (sea urchin) and caviar. 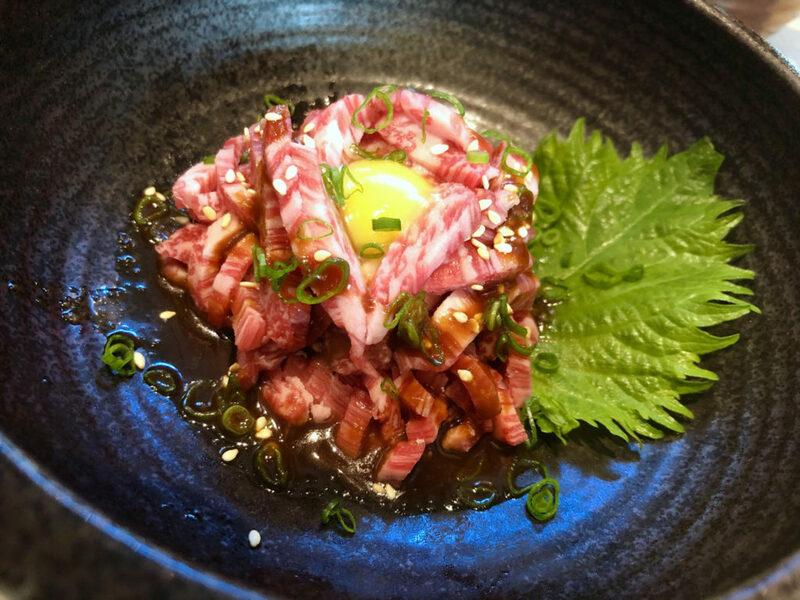 Also this is Wagyu Tartare topped with yolk. Thicker, more “gao” version of the Wagyu slices. Do finish the course with your preferred choice of pearl rice (porridge-style)/udon with the balance of the essence broth which has absorbed the flavour of all that meaty goodness. Really no other comments, too speechless. 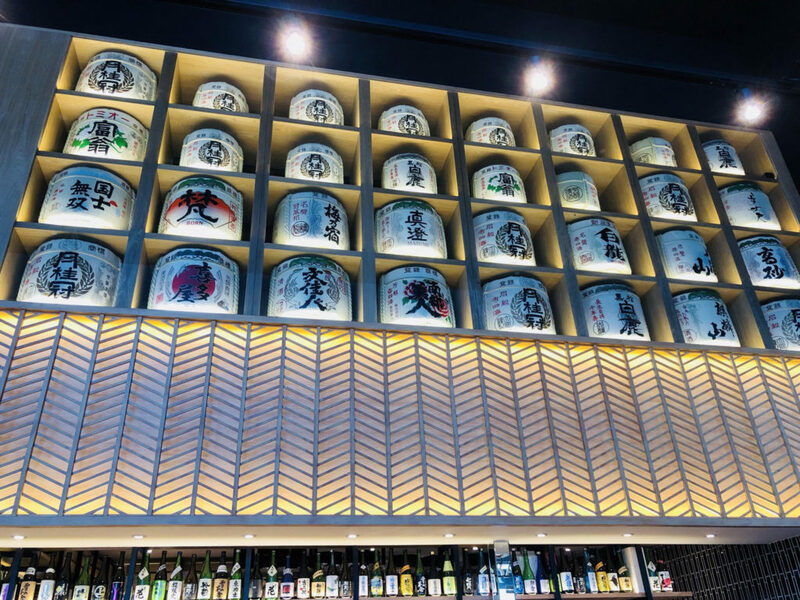 Exclusively available at their very posh Capital Tower outlet at $78++(usual price $108) for limited period only, feel free to complete your buffet with their wide range of Japanese sake and/or beer.